Patio Sails are the most popular options for both homes and outdoor businesses. They offer a cool escape and paradise from the outdoor sun. They are fully customizable and we can cater toward any outdoor patio style. The most stunning and beautiful shade sails are those that hang over beautiful pools. Shade sails are absolutely awesome for the summer head while you enjoy your pool activities with your family or friends. We know how to cool your pool! 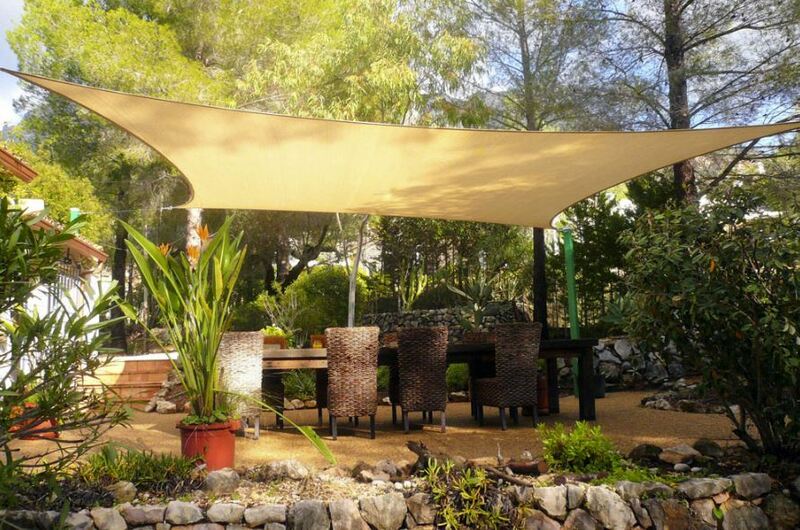 Nothing looks better than having your garden areas cooled and covered by a beautiful shade sail design. If you looking to improve your garden shade and area, look no further. We make enjoying your garden a wonderful thing, even in the Arizona sun. Canopy Sails are essential the same thing as shade sails. They hang over your desired spaces and can be designed or formed to your liking. If you looking for some creative ways to keep cool you can't go wrong with have a canopy for some shade. Awning sails are absolutely stunning on business and even homes. They provide shade for windows and structures that are vulnerable to the hot Arizona heat in the summer. If your looking to keep your place of business cool or your home, and do it with style, awning sails are the correct choice for you. Are you looking for a stylish way to cover your patio or sitting areas? Umbrella sails are awesome looking structures that are sure to please you and your guests, and more importantly keep you cool and shaded from the sun. 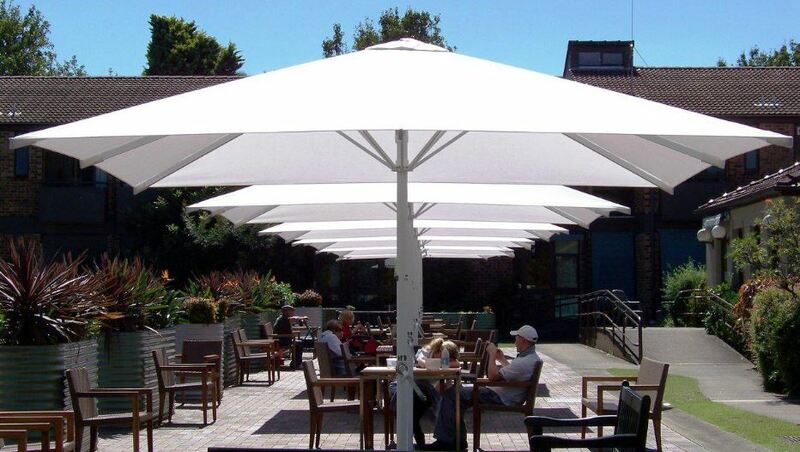 We offer the biggest variety of umbrella shade sails. These are most popular with our commercial and industrial type of work. Are you a contractor looking to keep a playground or park are cool from the heat? Look no further. We specialize in covering playgrounds with shade and any open park areas that need to be covered. Ranch Sails also known as Livestock Shade Sails, are sails designed for those businesses or residents who have property that manage Horses or other kinds of livestock that need to keep cool. We are experts at all things shade for country living and ranch shading set ups. Sun Sails are another general term for shade sails. We have the most diverse design options for blocking the hot summer heat with sail shades and know how to keep your leisure or work areas cool. Outdoor Sails are also another term for shade sails. (let's be honest, no one is going to put a shade sail inside) We got whatever your outdoor space needs covered, literally. We know how to keep you cool from that heat and keeping you happy to enjoy your patio. Another Term for shade sails but generally means a separate attachment as opposed to connecting to the home or place of business. Shade structures generally stand separately from the building and vary in many different shapes, sizes and forms. They are beautiful and excellent option to keep you or your customers relaxed and happy. Yes, we carry shade sail material and fabric. We understand that some people or customers may want to purchase the fabric directly to hang themselves or repair existing shaded structures. Whatever the need is, we offer the biggest and most diverse template of shade material to match, install or repair your shade sail spaces.